Have you ever wanted to setup a simple FTP server so that you can upload files to your remote server for yourself, or a few users? VSFTPd is the perfect option for you. It’s a powerful, open source FTP server that is designed to be quickly and easily configured. 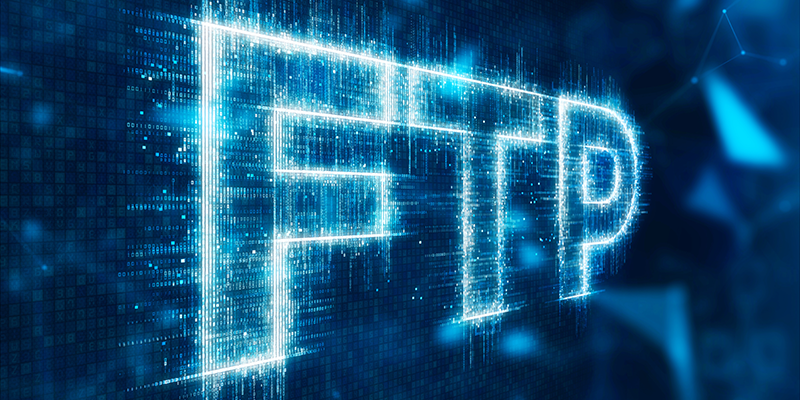 In this article, we’ll show you how to setup VSFTPd on Ubuntu so that you can create your own personal FTP server. In order to setup an FTP server, you’ll need a Hybrid, Cloud, or Dedicated Server from ServerMania. 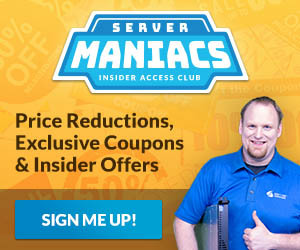 We have a variety of hosting solutions to choose from at ServerMania.com. Not sure which server is best for you? Book an expert consultation today, and we’ll find the perfect server for your needs and budget, guaranteed. This article was created using Ubuntu 16.04. Instructions may vary based on the version of Ubuntu you are running on your server. You can now visit ftp://YOUR-SERVER-IP and login using the username and password you created earlier in order to view files uploaded. 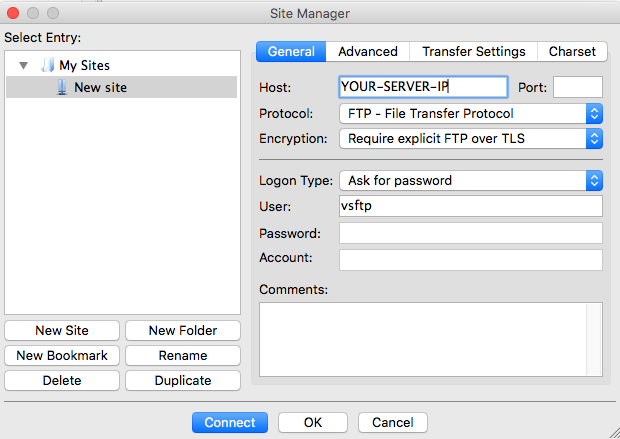 In order to upload files, you can use an FTP client such as Filezilla. Remember to require explicit SSL connections when configuring Filezilla, otherwise the connection will fail. Your Ubuntu server is now setup with a simple FTP server for you to upload and store files. Congratulations!